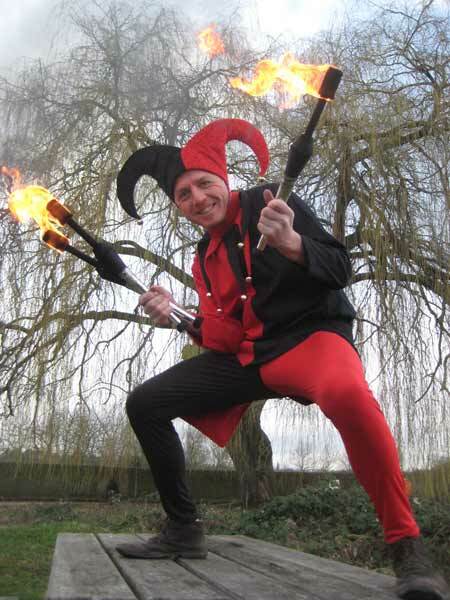 I perform with fire primarily as a walkabout performer juggling with torches, fire eating and fire diabolo and as a meet and greet performer to give impact at the entrance to an event, be it a party, concert, launch, barmitzva, promotion or any of all manner of events! 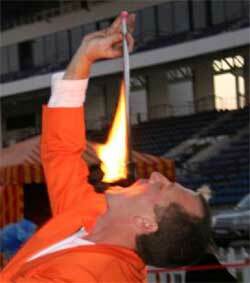 I also use fire as the juggling element of a number of show finale’s including the Rolla Bolla of much rollyness and the wobbly crate stack of death! 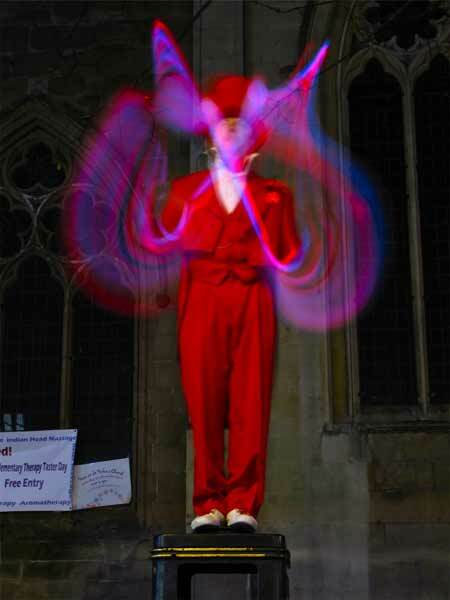 And the fire diabolo as a finale too my diabolo shows when appropriate. 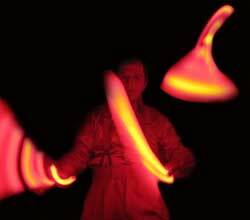 Glow juggling is a highly visual art and involves the use of specially designed glow juggling clubs and glow juggling balls. 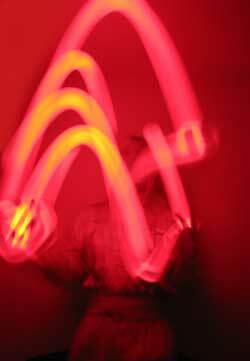 The clubs are programmable and can produce many different colours and effects. The balls are orange and fabulous! 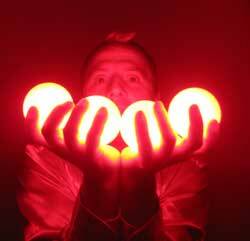 My glow diabolo has the very latest super bright LED system. 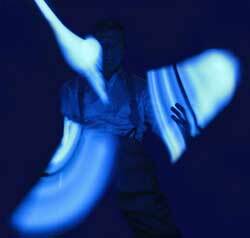 The results are truly wonderful as the props leave amazing trails of light and pattern, In the pictures are a few examples of a mere fraction of the effects produced. 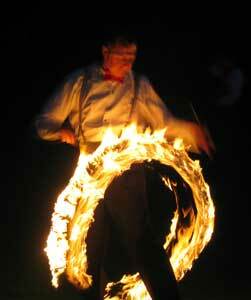 They also have the advantage of being useable in areas where fire is not apropriate or safe.